Series: April 8, 15 and 22. Our world is in desperate need of resurrection. Perhaps this is especially true as we consider the destructive ways we are treating each other when we have varying viewpoints (be they political, theological, etc.). From dinner tables to debate stages we witness a growing inability to navigate conflict in a way that leads to a diverse unity (not uniformity). Rarely is a divergence of viewpoint viewed as an opportunity for growth. Yet the resurrection of Christ points us to a world in which disagreements do not destroy relationships, but strengthen them. A world where conflict is met by love, not hate. 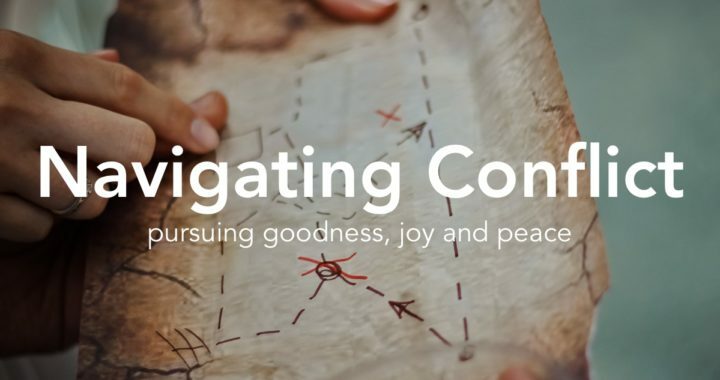 Join us as we consider Romans 14 together and the ways in which it instructs us to navigate conflict. As we do, may the power of the resurrection be at work in our lives and in the world. Join us as we invite Colossian Forum to provide a few hours of specific training and practice in the area of conflict. Click here for more details and to register for this training. Posted in Blog, Featured, News.